“Performer”- a person or group that has been booked for a Event through Applaud Events. “Event”- the period of time when the Performer carries out the Booking request, i.e service. “Booking” - the act of reserving a Performer for an Event for an agreed fee. “Client” - a person or group that is Booking a Performer for an Event. “Content” - the audio and visual data voluntarily displayed on a performers profile. 1.2 Once the client has sent confirmation that accepts the Performers quote, the client is entered into a legally binding contract with the Performer, in which the client is committed to carrying out the Booking requested. 1.3 Once the deposit or full fee is sent, the Booking is known as “secured”. 1.4 Clients should ensure they have communicated to the performer who their designated point of contact will be on the day of the Event. 2.1 All details agreed verbally must be confirmed in writing with the performer using the inquiry form feature on the Applaud Events platform, or via email ccing info@ApplaudEvents.com. 2.2 A Booking is not confirmed until the deposit has been received by Applaud Events. 2.3 If a Booking initiated via the Applaud site is agreed verbally and not completed on our site, Applaud cannot be responsible for any cancellations or issues relating to the Booking. 3.1 All payments which go through Applaud are transferred using our payments provider, Stripe. 3.2 Payments made to Applaud are released to the Performer two working days after the Event. A deposit of 20% is required to book a Performer. 4.1 Clients can choose to pay the remainder of the Performer’s fee using off-site methods such as cash or cheque on the day of the Event. 4.2 If the Client chooses to pay an Performer off the site, they are responsible for ensuring that the Performer is aware of the payment method they have chosen. 4.3 Off-site payments are still subject to the Applaud Cancellation Policy. 5.1 Travel expenses include all expenses incurred by the Performer, which are unrelated to the performance itself - these can include, travel, porterage, accommodation, or food and drink. 5.2 Performers receive their travel expenses payment within the final payment, transferred to the Performer within 2 working days of the Event date. 5.3 In some cases, such as if the Performer needs to book airline tickets, travel expenses may need to be paid to the Performer before the Event. In such a case the Performer will inform Applaud who will ensure a solution is reached with the agreement of both parties. 5.4 In cases of travel expenses paid before the Event, the Client agrees to take on the risk of paying for the travel. 6.2 If a client needs to cancel a Booking they must inform Applaud, before the performer. 6.3 Informing an Performer of a cancellation is not a valid form of cancellation. All communication regarding cancellations must be directed through Applaud. 6.4 All cancellations are subject to the Cancellation Policy. 6.5 In the Event that an Performer is using their own contract, the Applaud T&Cs and Applaud cancellation policy will take precedence. 7.1 If an Performer cancels more than 48 hours before the Event, the Client is entitled to the Applaud Performer Replacement Service. This means that Applaud agrees to offer the Client a replacement Performer of the same standard and style as the Performer which was originally booked. 7.2 The Client reserves the right to accept or reject any replacement offered. 7.3 If the replacement Performer is accepted, the Booking will go ahead with the replacement Performer agreeing to the same terms as the original Performer. 7.4 If the Client rejects the replacement Performer, the terms of the Cancellation Policy apply. 8.1 A “no show” is when an Performer does not let Applaud know that they do not intend to carry out a Booking or does not let Applaud know they wish to cancel less than 48 hours before the Event start time, meaning that Applaud does not have sufficient time to find a replacement Performer. 8.2 This policy will not apply to instances when the Performer is unable to perform due to Events of force majeure. 9.1 If a Client needs to make changes to the details of the Booking before the Booking has been secured, such as the line-up, performance duration or fee amount, this must be done by contacting Applaud at info@ApplaudEvents.com and must be accepted by both parties before the Booking is confirmed. 9.2 Once a Booking has been secured, Clients should not communicate changes to Booking details to the Performer without first contacting Applaud. 10.1 If the Event runs over through no fault of the Performer and they cannot perform until the end, there is no reduction of fee. 10.2 If an Event is extended beyond the original finishing time and the Performer is asked by the Client and agrees to continue performing, they are entitled to organise additional payment from the Client at their discretion. This payment must be declared to Applaud at info@ApplaudEvents.com within 24 hours of the Event. 10.3 If any other changes to the Booking occur on the day resulting in additional payment to the Performer, this payment must be declared to Applaud at info@ApplaudEvents.com within 24 hours of the Event. .
10.4 The Performer has the right to refuse to finish later than the finish time without penalty. 11.2 The Performer can refuse to perform if performance conditions are lower than agreed with the Client, or if the conditions are objectively unacceptable for a live musical performance. 11.3 In the case where conditions are confirmed in advance and not adhered to by the Client, the Performer is entitled to their full fee provided they show evidence of unacceptable conditions. 12.1 Applaud may grant the Performer the right to use an alternative or deputy performer, but only given the Client’s consent. 12.2 Any alternative or deputy performers will be subject to the same contractual agreement as the original Performer. 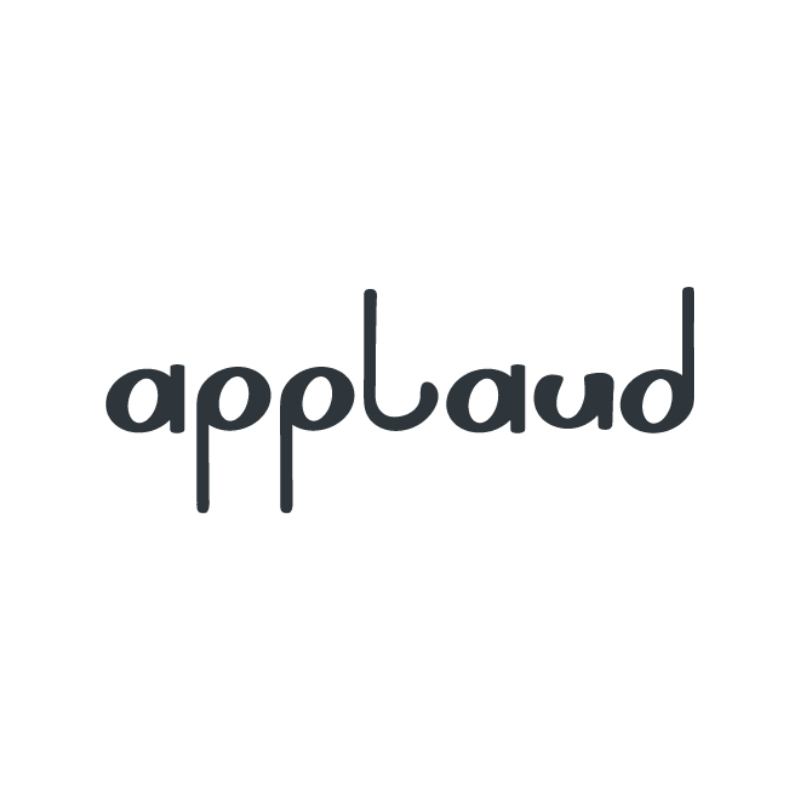 13.1 By Booking an Performer through Applaud and benefiting from Applaud Events service, Clients agree not to take Bookings originating on Applaud outside of the platform or use the service to generate further Bookings outside of the platform. This is against our terms and Clients who do so may be banned from using Applaud in future. 13.2 If a Client wishes to offer a Performer further work as a result of an Applaud Booking, they should contact the Applaud team with the details. 14.1 If a dispute arises as a result of a Booking, the Client must register the dispute by contacting Applaud as soon as possible at info@ApplaudEvents.com. 14.2 Registering a dispute will freeze any payment transactions for a window of up to 7 days during which time we will ask both the Client and Performer to provide evidence. 14.3 If the evidence is inconclusive, the default position is for Performers to receive their fee. 14.4 By accepting a Booking through Applaud all Performers agree to adhere to the Applaud Code of Conduct. If a Client feels an Performer has behaved inappropriately, Applaud will take due measures to ensure this is resolved. 15.1 For Bookings where it is necessary, the Client is responsible for ensuring that the Performer has Public Liability Insurance. 15.2 Applaud is not liable for any damages to people or their personal property which take place at an Applaud Booking. 16.1 Though our tests show that the Applaud site has consistent uptime, we cannot guarantee that it will be accessible at all times. 16.2 Clients accessing the site from older versions of internet browsers may experience connectivity problems and so for optimal experience it is recommended that you ensure you are always using the latest version of your browser. 17.1 Applaud follows the highest standards of security and protection when handling the data of Clients. 17.2 Applaud never holds card details or bank account numbers. 17.3 Any information Applaud does store is essential for the Booking process and industry-standard measures are taken to ensure its security. 18.1 By accepting these Terms, you hereby give Applaud the right to use, duplicate, digitally transmit, display, share, stream, modify, edit, and/or remove your Content. 18.2 If you believe we have misused your Content, please contact us immediately at info@ApplaudEvents.com. Flagged Content will then be removed from our platform. We are not liable for any misuse otherwise. 19.1 You may not post any unauthorized copyrighted material that constitutes an infringement of third party rights. 19.2 Offenders of third party copyright laws are subject to having their accounts terminated, as well as being prosecuted in court by the owner of such copyrighted Content. 19.3 If you are a third party content owner who believes that any piece of Content uploaded by a Performer infringes upon your copyrights, we will respond promptly to any properly submitted notice. 20.1 By accepting these Terms and Conditions, you acknowledge that full liability and risk of posted Content lies with the Performer.